888sport customers can find the latest Premier League betting tips, news and betting markets ahead of the latest English football fixtures. With accessibility allowing customers to visit 888sport via a mobile device, laptop or tablet, it has never been easier to place a wager on English Premier League betting markets. 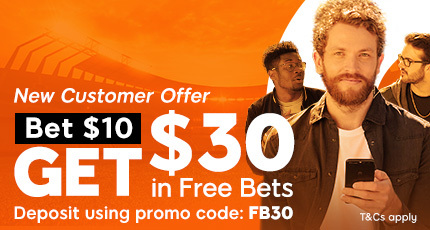 888sport is the place to be for bettors who enjoy specific match betting or longer-term bets over the course of the English Premier League season. Manchester City were crowned English champions for the third time; Pep Guardiola’s side broke various records on their way to the title. Meanwhile, three relatively established top flight clubs, Swansea City, Stoke City and West Bromwich Albion, were relegated down to the Championship after finishing in the bottom three. The race for the Premier League top four was competitive throughout the entire 2017/18 campaign, with the two Manchester clubs finishing in the top two spots ahead of Tottenham Hotspur and Liverpool. Arsenal and Chelsea were forced to settle for the two Europa League places - and those two London clubs are competing in Europe’s secondary club competition this season. Cardiff City have failed to inspire confidence during the early stages of the 2018/19 Premier League season and the Bluebirds are favourites to drop out of the top flight. Neil Warnock’s side are just one of three teams yet to win this season and Cardiff will need plenty of luck to secure their Premier League status ahead of 2019/20. Manchester United have also struggled to get going in recent weeks and Jose Mourinho’s men are now 5/2 to finish in the Premier League top four. The Red Devils are the most decorated club in England’s top flight and Manchester United finished second in the table last season. Punters will be keeping a close eye on the Red Devils in the coming months. Eden Hazard is maturing into one of the best players on the planet and the Chelsea man is now 11/2 to finish as the Premier League top goal scorer this campaign. The 2018/19 Golden Boot award is up for grabs and Hazard, currently leading the way with seven goals in eight league games, could be the one to beat. Established ahead of the 1992/93 season, the Premier League is the top flight of English football. Every year, the 20 best teams in the country compete for the domestic title, with the bottom three dropping into the Championship – England’s second tier. 888sport also offer various odds on English leagues outside the Premier League but the top flight remains popular with bettors across the world. In 2017/18, Cardiff City and Fulham joined Championship winners Wolverhampton Wanderers in securing promotion to the Premier League with Swansea City, Stoke City and West Bromwich Albion dropping out of England’s premier club competition. Manchester United are the most successful team in Premier League history, with 13 titles since the inaugural season of the competition. Sir Alex Ferguson was manager for all of those successes and the rivalry with Arsenal and former manager Arsene Wenger will go down as one of the Premier League highlights. West Bromwich Albion, relegated down to the Championship at the end of 2017/18, have yoyoed between the Premier League and English Championship in recent years. The Baggies were relegated three times in the space of a decade in the mid-2000s and it wouldn’t be a huge surprise to see West Brom back in England’s top flight in the not-so-distant future. Blackburn Rovers are the only former Premier League champions to suffer relegation out of England’s top flight. Rovers were crowned English title winners in 1994/95 but have since dropped out of the Premier League on two separate occasions. Football traditionalists will want to see Blackburn back in England’s elite club competition in the coming years. 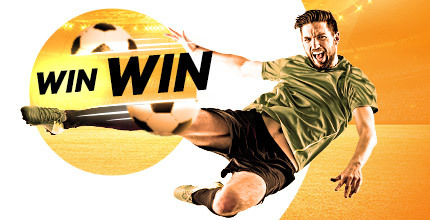 Premier League Live betting has never been easier thanks to 888sport. Even if you’re out and about and don’t have access to a computer, you can still place your in-play bets on your tablet or even your mobile phone through our Sports Betting App.